Shaker style doors with groove center panels, for lower storage. Open shelving at sides with center T V provision. Crown Molding trim at top and lighted upper center section for display. 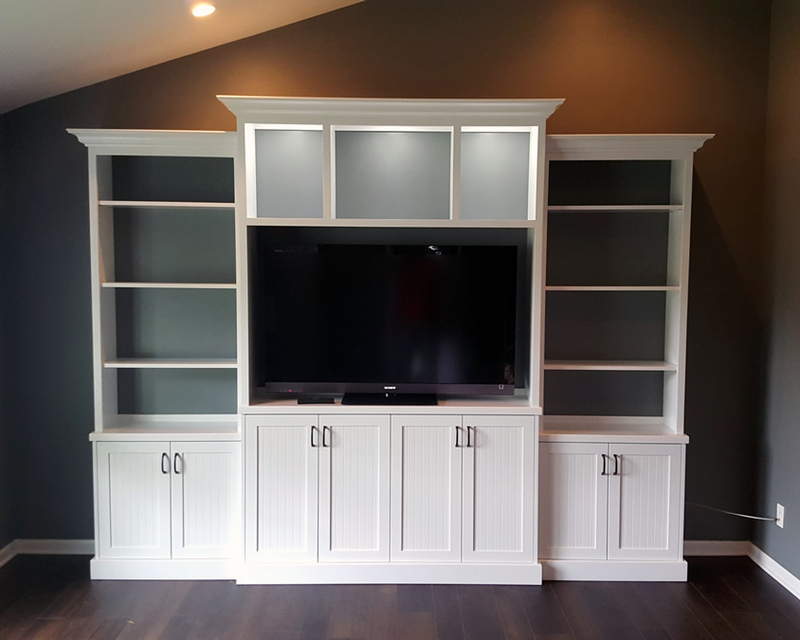 Solid White lacquer finish matches the trim in the room, the full atmosphere. Glass doors with mullions on display cabinet repeat the window design and furnish a place to display glassware and vases.